No strangers to the vine life, Marc and Alex are third generation Burgundy producers. Their grandfather created Domaine Bernard Bachelet et Fils, which is also where the boys' father, Jean-Francois Bachelet, made wine for most of his life. 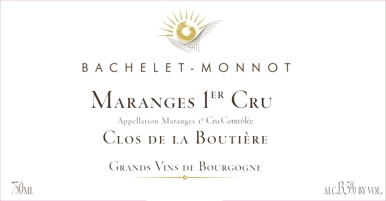 Back in the late 1980s, he was a staunch advocate for the development of the Maranges AOC, and his sons have taken it upon themselves to develop the reputation of this newer appellation, as well as produce stellar examples of time-honored classics. After studying viticulture in Beaune, the boys embarked on several internships throughout Burgundy and Rhone before spending five vintages on the family plot. Borrowing some vines from Uncle Monnot, they created their domaine over 10 hectares of well tended Burgundy vines. They continue the work by farming in a labor-intensive manner, hand-harvesting and growing without chemicals. True to Burgundy, experimentation with the final product is minimal. Each wine is given the same treatment to allow for the unique terroirs of the region to fully express themselves through the Bachelet boys' vinification style. Each wine sees 12 months in mostly neutral oak (up to 25% new barrels each vintage), then another 6-8 in tank on the lees before bottling. Production is split almost evenly between white and red. Marc and Alex's father, Jean-Francois, was a leading advocate in getting Maranges recognized as its own AOC back in 1989. Many of the vines in this less than 1 hectare plot were planted very soon thereafter. 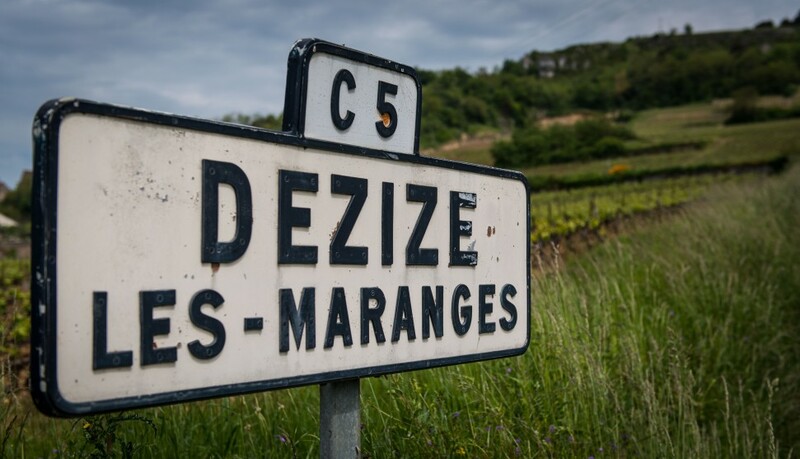 At the extreme southern end of the Côte de Beaune, you can expect a touch of extra ripeness to the wine's zesty fruit and taut minerality. With its perfect position on the southwest-facing flank of the Montrachet hill, En Remilly is perhaps the best vineyard in the entire Saint Aubin AOC. The mineral snap takes a backseat to the honeyed fruit in this mellow beauty. 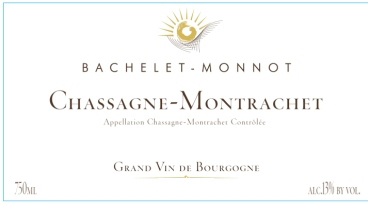 Their Chassange-Montrachet contains fruit from five different parcels representing every major geographical sub-zone, giving a very clear picture of the general AOC. White flowers abound in this fat yet finessed Chardonnay. Four old vine parcels lend immense depth to this elegant and balanced white. Rich stony minerals fill out the high-toned citrus fruit, while the palate is both engaging and vibrant in this sunny white. With some of the most highly elevated vines on the slopes of Puligny-Montrachet, ripeness is not the destiny for this wine, of which roughly five barrels are made each year. The layers of stony minerality are vast and firm, the acid tense and citrusy, with whispers of plum and peach heard faintly in the distance. A perfect aperitif now, this wine will be an absolute showstopper after a decade in the cellar. These 40 year old vines hang out a little more down-slope in Puligny-Montrachet, in soils studded with clay, adding weight and juicy ripeness to this forward and seductive wine, bursting with ripe tree fruit and citrus notes. 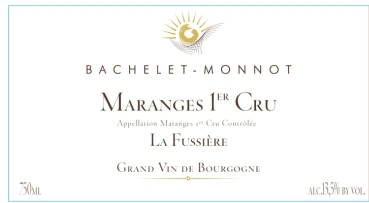 Fruit from Maranges, Santenay and Puligny make up the blend in this basic Bachelet, which gets an added bump in depth from the 15-20% kept whole cluster during fermentation. Meant for early consumption, this wine is juicy and round with its cherry and plum notes. Perhaps the most "Bachelet" of the collection, the roughly 4.5 hectares of vines here are the largest holding for the brothers. The old vines sit in calcareous soils, producing intensely rocky wines balanced by juicy dark cherry fruit. Tucked up next to a Santenay Grand Cru, the vines in this Bachelet-Monnot are among their oldest at around 65 years old. With a lower elevation than the Fussière, the wine displays more red than black fruit, while the tannins are fine and dense, adding ageability to this supreme expression.